Hey remember the other day how I put up instructions on how to set a custom beep on your DS4800? Well I thought it’d be good to get some documented proof of it using a custom tone. Yes I used my iPhone in portrait mode to record it. The transition from Motorola back to Symbol is well underway, with the TC70 being one of the first new mobile computers to eschew the batwing in favor of SYMBOL. This device is built for enterprise data management in the four walls and should be a good fit for retail and even light industrial work. The TC70, to me, is a burlier upgrade on the MC40 mobile computer. It runs Android KitKat OS (4.4.2) using Google’s Android Open Source Project version of the OS. This means you don’t get access to the Google Play store, which is a bit of a bummer if the software you need to install exists there. Software can get side-loaded onto the device, so I think you can get the Google Play store on there maybe. To power the Android OS, the TC70 runs on a nimble 1.7 GHz dual core processor with 1 GB of RAM. There’s 8 GB of onboard storage for apps files and whatnot; if you need more storage, there is a microSD slot that supports 32 GB cards. So 40 total GB of data storage, that’s a lot of Starland Vocal Band albums. Data capture is a snap with the TC70. It has the SE4750 2D imager built-in, which is similar to the scanner found in the DS4308. You get a solid scanning range with the scanner, about 2 feet for retail barcodes, and then some variance for different symbologies & densities & whatnot. There are also two cameras on the TC70. A rear-mounted 8 megapixel camera is fantastic for proof-of-delivery, documenting damage to shipments, or taking pictures of awesome vans. There’s also a front-facing 1.3 megapixel camera for video chat and selfie purposes. The screen is 4.7″ and runs at a native 1280×720, so you should be able to watch 720p videos with ease. Or see inventory and pick lists easily. Depends on how laid back your business is. It uses Corning Gorilla Glass 2 for the screen, tough enough to handle drops and spills and accidental damage. The touchscreen on the TC70 is “dual mode capacitive touch.” It does work with gloved fingers, which is great if you’re on the shop floor and are worried about losing a finger. There’s also a “wet mode” which provides increased accuracy when moisture is on the screen. Wet capacitive screens tend to act really funky, so this is a great additon. Battery life shouldn’t be an issue with the TC70. It comes with a 4620 mAh battery, which adds to the heft and also provides a TON of power for watching movies or doing your job. Durabilty is a big piece of the TC70’s game plan. 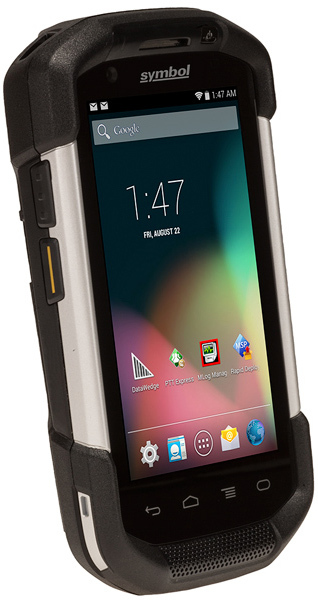 The mobile computer is built to IP67 standards, so it’s completely sealed against dust and water dunks. I have not yet tossed mine in a bucket of water, but I do plan to when we’re done covering it and extolling its virtues both in text and video. The mobile computer is reinforced with burly overmolding, protecting it from six-foot drops to concrete and 2,000 one-meter tumbles. You could say it rolls down stairs, alone and in pairs. Another thing to notice about the TC70 is that every button is recessed below the overmolding. I’ve been told this helps improve the longevity of the buttons, since in a drop the main point of impact would be the rugged parts and not the moving parts. It’s the little things, am I right? There are a few accessories available for the TC70, further improving its functionality. However, because the mobile computer is sealed, the connection points are a little different than you’d find on a standard smartphone. Trigger Assembly – This converts the TC70 to a more traditional style mobile computer, making it easy to scan barcodes and also manipulate data on the screen. Snap-On Card Reader – For mobile POS or line busting, this is a great addition. It snaps to the base of the TC70 and provides some added encryption to prevent data from getting into the wrong hands. Audio Nugget – This is just a great name for a thing. Since the TC70 is sealed, there’s no audio jack on it. The “audio nugget” snaps onto the back of the mobile computer and provides an audio jack, in case you need to do voice picking or VOIP stuff. Audio nugget. Charging Cables – Sometimes you don’t need a full cradle to charge your mobile device. This cable snaps on using magnets to hold it to your TC70, charging it up over USB or AC cable. The TC70 is a great, multi-faceted tool for data management within a business. With the right snap-on accessories you can convert it to a powerful line busting tool, a shipping/picking dynamo, and more. It’s built to handle a beating, making it a great choice in hardware stores, lumber yards, or garden centers for retail. I do want to throw it in some water and see how it handles that. Did you know the DS4800 can play customizable audio tones when you scan a barcode? Yeah, no kidding, it can do that. I was told this from product launch, but I was never able to figure it out. Then the newest version of 123Scan added a curious “Custom Scan Tone 6” selection to the DS4800’s list of tones. But I couldn’t find a way to get the data onto the scanner, until yesterday. In its current incarnation, it requires quite a few steps, and a lot of trial and error, but hopefully I’ve cleared most of that up so you can have an easier time getting whatever you want onto your DS4800. I’ve been told it’ll eventually be incorporated into 123Scan, but in the meantime it takes a few extra steps. DS4800 Product Reference Guide – It’s 478 pages, it talks about everything from optimal viewing angles to setting the scanner up to support traditional Korean keysets. DS4800 PRG Appendix J – This is the section of the Product Reference Guide that covers setting custom tones. Motorola Scanner SDK – This is the software you use to upload audio tones to the scanner. It has a ton of other really cool stuff too, like a way to test image capture or scale output. If you’re providing support for customers with Motorola or Symbol scanners, this should be in your toolset. Motorola Scanner SDK For Windows Developer’s Guide – At 142 pages, it’s a bit big, but it does have error code descriptions and general tips for using the software. It’s not fully necessary, but it’s good to have in case something weird happens. 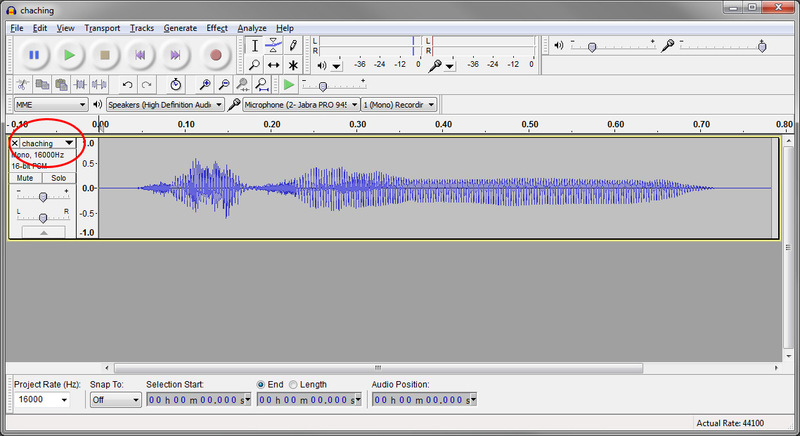 An Audio Editor – I’m using Audacity because it’s free and is pretty easy to set up. But if you have an audio editor in mind that can set sampling rates, bitrates, and can export as WAV, that works too. I’d recommend installing the apps prior to getting started. The Motorola Scanner SDK requires additional software, so there may be a couple reboots before it’s ready to go. Audacity might require additional software to be installed prior as well. But once they’re installed, we can begin. If there’s even mild deviation from these settings, the file won’t upload. Thankfully, it won’t break the scanner either. I’d recommend making a few, you never know if you’ll want to hear the Pac Man noise with every scan in perpetuity, or if you’d prefer the coin noise from Super Mario Brothers. Or Angie from 30 Rock saying Ham. She says it really well. Regardless of the file, you’re going to need something that is about 1 second long, otherwise it’ll be too large, even when downsampled. Once the audio clip is trimmed to your liking, you’ll need to prep it for import, which is a few extra steps. The first is to change the sample format to 16-bit. This is located on the audio wave form, next to the file name. You expand that menu and choose “Set Sample Format” then “16-Bit PCM”. Next, go to the track menu and select “Resample”, then set the new sample rate to 16000 Hz. So you have your files, and probably a big grin on your face, because who doesn’t want their scanner to shout IGNORE ME after every scan? Now to get those files onto the DS4800. 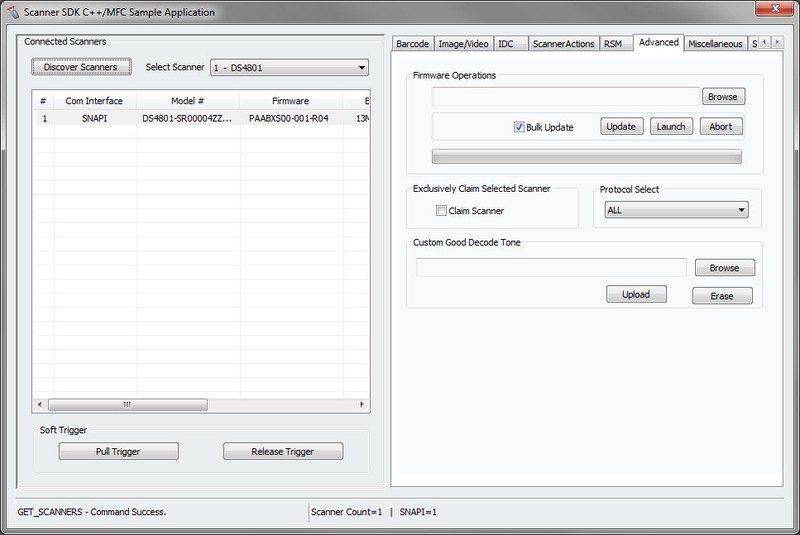 The first thing is to set your scanner to Symbol Native API (SNAPI) with Imaging Interface. This allows the scanner SDK to connect to it and send files back and forth. It’s also as easy as scanning this barcode right here: You can also find it in the Product Reference Guide in section 3-5 (Page 37). Now that it’s switched, unplug the scanner and start up the “Motorola Scanner SDK C++ Sample Application.” That’s a hell of a name. 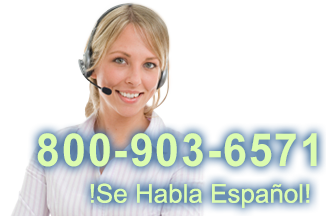 It’s located in your start menu, so Start->Motorola Scanner->Scanner SDK->C++ Sample Application. UPDATE_DECODE_TONE – Command Success – This means you now have your very own custom tone on your DS4800. With the audio file added to the scanner, it’s time to test it out. Scan the “Scan Tone 6” configuration barcode, either from the PRG, the Appendix, or this picture right here: And now test it out! Scan some barcodes! It’ll be so novel! I ran into more than a few issues while setting this up, primarily having to do with the filesize and precise formatting of the audio files. Since this product is so new, there isn’t a lot of documentation available for it. If you try to upload an incompatible audio file, the SDK will display some error codes. I’ve listed what the Motorola Scanner SDK For Windows Developer’s Guide describes the error as, along with what I assume is going on. UPDATE_DECODE_TONE – Command Failed. Error:107 – Invalid Argument – This one only happened for me when I tried uploading files from a network location and not something directly stored on my computer. UPDATE_DECODE_TONE – Command Failed. Error:117 – Operation Failed In Device – This means the audio file is not exactly what the scanner is expecting, so maybe the bitrate is off, or the Hz, or something else. Update 10-16-2014: It also means the firmware is not new enough to support custom audio tones. UPDATE_DECODE_TONE – Command Failed. Error:308 – Arguments in inXML are not Valid – I don’t know what this one meant, it was sort of a variation on Error 117 I guess. It happened on a couple files that were too large, but also happened on some that were over 60 Kbyte but less than 128 Kbyte. These issues shouldn’t crop up if you follow the steps up above. If they do, please shoot me a comment or an email or maybe send a carrier pigeon my way with your question. EMV and chip & PIN have become bigger buzzwords lately as more national retailers have reported their credit card data being breached. There’s a lot around EMV and it can be incredibly confusing even if you’re mired waist deep in the card payment industry. I’m only ankle-deep, but hopefully this can help clarify some of the bigger points of the program. EMV stands for Europay/MasterCard/Visa and is a series of specifications designed to maximize the security of payment systems. It started in Europe and is beginning to gain traction in the US. The current method uses a chip built onto a credit card that activates when plugged into a special card reader or payment terminal. It won’t release the data unless the user enters a PIN, thereby making it more secure than swiping a magnetic card through a reader. There are other methods, including contactless payment, but the chip and PIN method is the next to be adopted in the US. You may have seen these types of cards already, they’re often used as smart cards for employee access and other ways to manage use/access of things. For instance, at Western Washington University, their laundry machines used smart cards to run. So the cards themselves have been around for a while. The main reason EMV is useful is because it’s a multi-step method of authorizing and approving payment. With current credit cards, the proof that you’re you is a signature, and they rarely check it. For reals. I’ve drawn giant smiley faces for signatures and the charge went through no sweat. With debit cards you need to enter a PIN, which is fantastic, but the card can also be used as a credit card so you can circumvent that step. Secondly, the technology has been adopted pretty much everywhere else, so the hardware exists, it’s been tested, and it’s been optimized to cut down on the hassle for customers. The data on the card changes slightly every use, which provides an added layer of protection. I imagine there’s a checksum involved and if it doesn’t pass, the transaction gets flagged or outright denied. I own a business, what do I do? I guess for now, you get to wait. If you accept credit and debit cards, it might be a good idea to get in touch with your merchant services provider to see what their plan is. The major card reader and payment terminal manufacturers have products ready to go, if not already in use, so the transition should be relatively painless. Since adoption rates are so high outside of the US (Western Europe boasts 73.9% of cards and 89% of Terminals utilizing EMV), there’s a fair bit of hardware already out there. It looks like for now the biggest issue is ensuring that whatever you have to take cards is compatible with every variant on the market. MagTek DynaPro – MagTek has led the way when it comes to securing card data. From their Dynamag (née Centurion) hardware-encrypted card reader to their check reader platform, you can be sure if your card data falls into the wrong hands, it’ll be useless. The DynaPro incorporates their MagneSafe hardware encryption platform with contact and contactless smart card reading, making it a great option during the transition period. 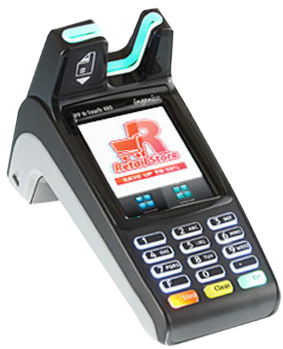 VeriFone VX 520 – The VX 520 is a standalone payment terminal, like what you might see at a convenience store or places that use an electronic cash register instead of a full POS system. Like the DynaPro, it supports both traditional magnetic cards as well as EMV smart cards. You do gain additional versatility with this terminal; it supports transmitting card data via dialup, Ethernet, and even GPRS cellular networks, so this could be a great fit for mobile POS platforms. ID Tech Unipay – Mobile POS on smartphones is blowing up, or it blew up. Either way it’s pretty huge. 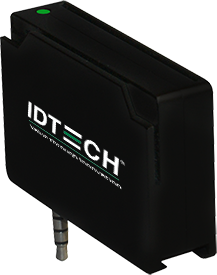 ID Tech has been making various readers that hook in via audio jack, and their new UniPay extends that functionality by supporting EMV cards. It does require the software you run to accept that data, so there are some extra steps required. It’s not out yet, but should be soon. Ingenico iPP H-Touch 480 – Ingenico, like Verifone, has been making payment terminals for years. They’re usually the ones you see at grocery stores and larger department stores, and are pretty robust. The iPP H-Touch 480 supports magnetic card reading as well as smart card and contactless cards, making it a great transitional tool. It does require integration with your POS system, so you may want to talk with your software provider to make sure this is a compatible solution. Square EMV – Everyone and their brother loves Square and their 2.75% transaction rates, so it’s good that they’re working on creating a reader that supports chip and PIN. It looks like you can give them your email and they’ll let you know when it’s ready. I bet every news site and blog aggregator will also let you know when it’s ready. We’ve already passed a few important dates, mostly with regard to processors adopting the standards and deadlines, but the main two for businesses are October 2015 and October 2017. 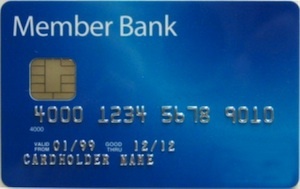 – Liability shifts to processors if their merchant lacks an EMV-enabled device and is involved in a counterfeit or fraudulent card-present transaction. – Similar liability shifts, but for automated fuel dispensers. They get extra time because replacing gas station systems sounds expensive and complicated. Businesses, if they’re not already supporting EMV and chip & PIN, have about a year to get transitioned over and ready to go. Thankfully, it looks like solutions are in development or already available, so it’s a matter of working with your credit card processor to ensure you get the right one. We are working with our merchant account provider partners to make sure we have the hardware ready as soon as possible and will let you know as soon as we have solutions available.